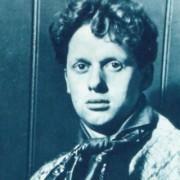 London Literary Pub Crawl Dylan Thomas Day. WE WERE DELIGHTED to present the London Celebration of the first International Dylan Thomas Day. WE're back with a special walk on 14 MAY, 2017. EARLY BIRD DISCOUNT... 10% of all tickets in March. Tickets are from £12 and will be allocated on a first-come, first-served basis. Early booking recommended. Dylan Day London Literary Pub Crawl tours - 5pm. Visit the Public Houses and Taverns in the Literary heart of London frequented by Dylan Thomas and many of his contemporaries, including George Orwell, Anthony Burgess, Brendan Behan, Bob Dylan (! ), T.S Eliot and others. 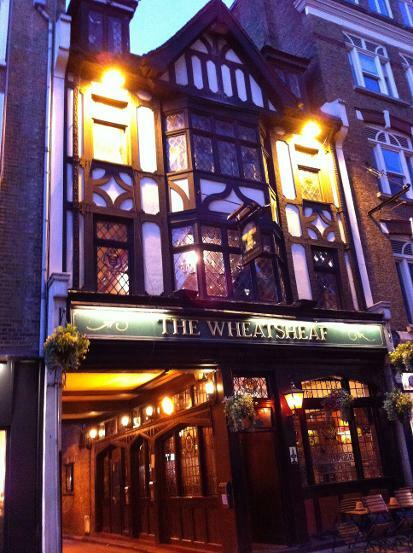 Starting and ending at the famous Wheatsheaf Pub, see where the giants of the literary world ate, drank, discussed, thought and worked. Relive the moment Dylan fell in love at first sight with Caitlin, his future wife. We are delighted to announce that in honour of Dylan Day, the spirit of the late Charles Dickens has agreed to appear on the tour! In addition to celebrating other writers of Fitzrovia, we see where Bob Dylan - who took his name from Dylan Thomas - gave his first ever gig outside the USA and the house where George Bernard Shaw AND Virginia Woolf both lived. Opposite writer Ian McEwan and writer, actor and comedian Griff Rhys-Jones. In the evening, you are invited to stay at no extra cost for the Dylan Day celebrations being organised by Hilly Janes, the daughter of Dylan's best friend and painter Fred Janes! LISTEN TO hilly janes and THE 2016 'DYLAN THOMAS INTERNATIONAL DAY' LONDON PODCAST HERE. We're grateful to Dylan's Granddaughter, Hanna Ellis and Literature Wales for their past support.